We are happy to announce an open beta test for our upcoming product avast! SecureLine for Android, and we are seeking advanced beta testers to take part. With avast! SecureLine for Android, you can securely use your smartphones and tablets on unsecure WiFi networks while traveling or in your favorite cafe. Those of you who live in parts of world without access to foreign services and restricted content (Netflix, Pandora, etc.) will now have a solution to their problem with avast! SecureLine. Best of all, beta testers will exclusively get a one month subscription for FREE! Try it out and give us your feedback! We'll be working hard to bring you the best possible product. - Only 2 servers, New York and London, will be available during the beta. The full release will include more around the world. - Exclusive 1-month free subscription for beta testers. The standard free trial will be 7 days after the beta closure. 2. Click on the avast! 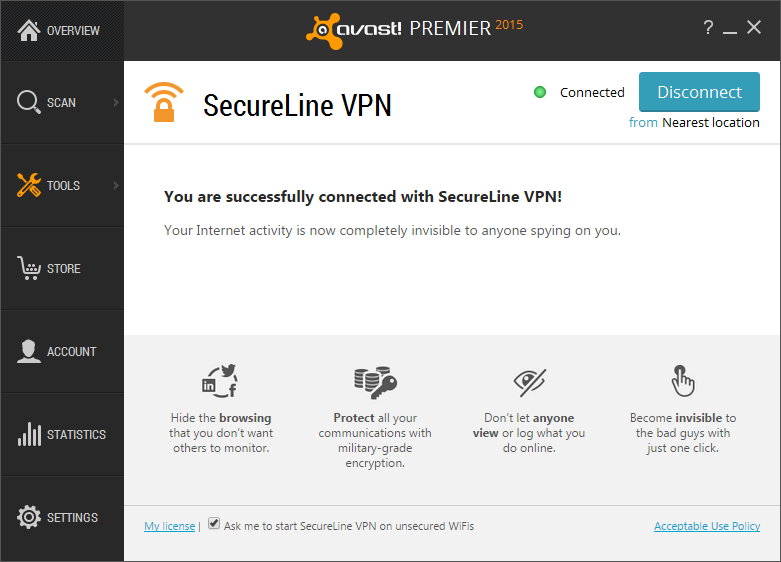 SecureLine (beta) link on this page http://play.google.com/apps/testing/com.avast.android.vpn. Once you (the user) join, the link will become active and you can opt-in. 3. Click on "Become a tester". 4. Download through Google Play on your device OR install directly from Google Play website.avast! SecureLine for Android has an open beta, and you are invited to join!